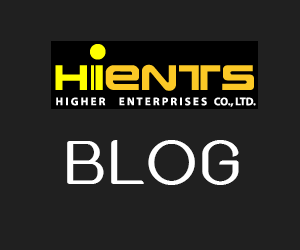 กระดาษทดสอบ Chromium, chromate (Chromium test paper) | Higher Enterprises Co.,Ltd. 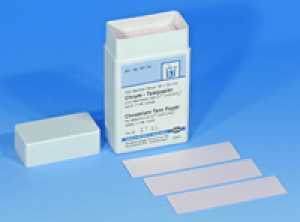 This test paper allows the quick and easy detection of Chromate (CrO43-). Cr(III) ions must be converted to chromate prior to the detection. For non-destructive testing of materials apply a drop of acid solution (1 part hydrochloric acid 37 % + 4 parts hydrogen peroxide 3 %) to the degreased surface. After 10-30 seconds add a drop sodiumhydroxyde (NaOH). Press the test paper onto the precipitate then put it into diluted sulfuric acid. In the presence of chromium, a violet spot appears. With this procedure Chromium contents >0,1% are safely detected.